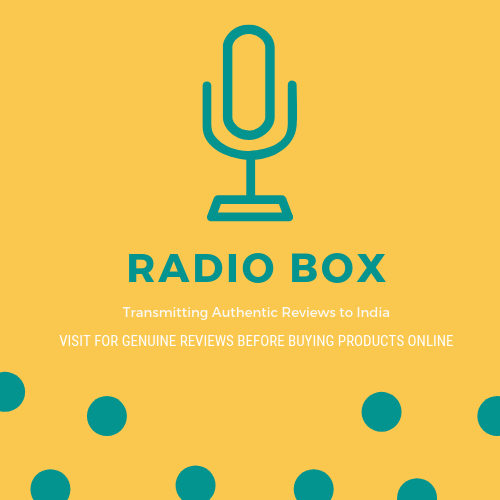 How to Fix – Err_Name_Not_Resolved? 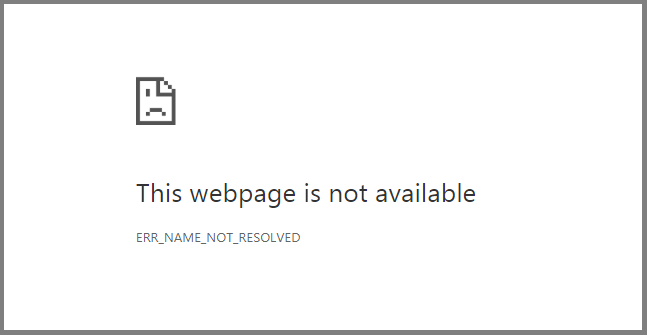 The ERR_NAME_NOT_RESOLVED occurs in Google Chrome Browser which indicates that the site you are trying to access cannot be opened. The major cause of this error, are the issues with your PC or a web browser. In this article, I’ll explain various methods to solve this issue. Sometimes, browser cookies block your Internet DNS settings. 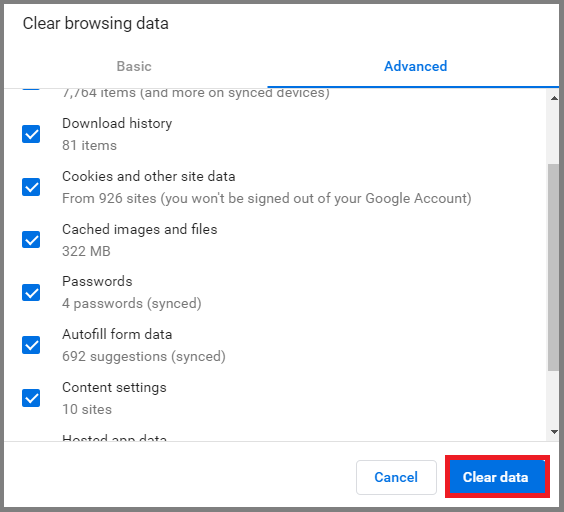 You know browsing data includes records of web pages that you have visited in the past browsing sessions. Other data components of the browser like caches, cookies, passwords, autofill etc are saved in the browsing history. 1. Click on three dots at the upper right-hand side of the browser or using shortcut key CTRL +SHIFT + DEL. Restart your Google Chrome Browser and check if you still get the ERR_NAME_NOT_RESOLVED error. 1. 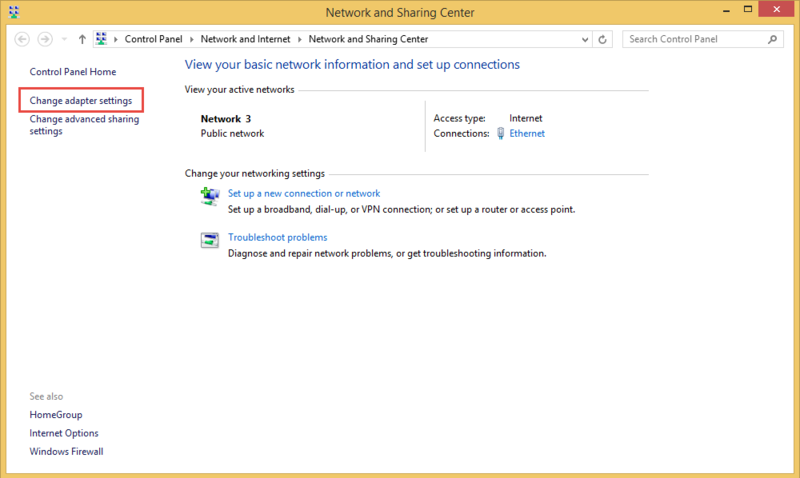 Right click on your Network connection situated at the bottom right-hand side of the desktop. 2. Click on the Change adapter settings. 3. Then, right click on your Internet Connection » Properties. 4. This will redirect you to the popup window. 5. 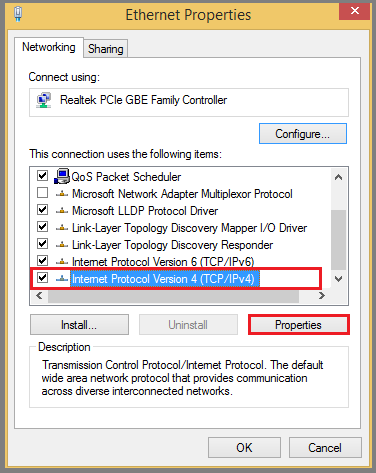 Choose Internet Protocol Version 4 (TCP/IPv4) » Properties. 6. Now, replace your preferred DNS server to the 8.8.8.8. 7. 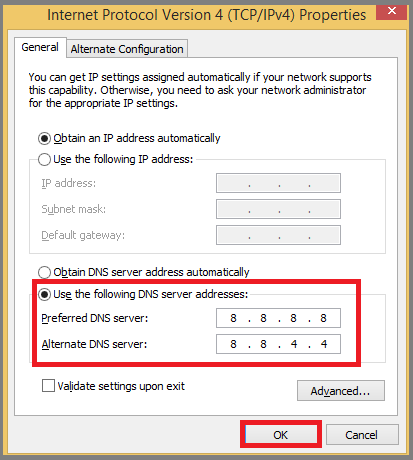 Change the alternate DNS server to 8.8.4.4. 8. Once Completed, Click on OK button. Open Chrome Browser and check if the error still appears. If the problem continues, then continue to the next method. If the issue is with your network configuration, just open the Command Prompt as an Administrator and run the following commands. To reset the network settings, you need to execute some commands in Command Prompt. 3. After executing these commands, Restart your PC. Then, Open your Chrome Browser and try to access the website that you were barred. Your firewall or any security software you are using in your PC can block your network connection and causes DNS block error. In that case, you might need to unblock your Web Browser and the network connection. You can also disable your security software or a firewall. This might solve this problem. Sometimes, there might be a problem with your router or modem. You can unplug the power cable from the router. Wait for sometime, then plug the router back in. After the restart, Check whether the error has gone. I hope this article helps you to learn how to fix the Err_Name_Not_Resolved problem.